It is more than 13 years ago since I started studying mathematics at the University, but I can still remember what a professor told us beginners at the start of our studies. He said that we were going to have to face difficult tasks that might take hours to solve, and when that happens it is a good idea to make a cup of coffee or tea in order to relax and stay focused. Indeed he was right. When sitting still for hours just thinking and thinking, the process of getting up and boiling water to make a beverage will come as a welcoming break. Later, sitting down and sipping on your warm beverage will truly help you relax and ensure that you are once again ready to focus. Obviously this is not something groundbreaking. We all know this. We all do this during our work day. So why should this be any different for students in schools? Being a student is hard work. Going from class to class learning all kind of things can be exhausting, so maybe a cup of tea might be exactly what students need. Staying hydrated is also of great importance if you are not to collapse. With this in mind I bought a soda stream, a water boiler and different kinds of tea and coffee to my classroom. The students are now allowed to come a few minutes early to my lessons and make beverages before we start. I was hoping that this would have a positive effect, and I was not disappointed. 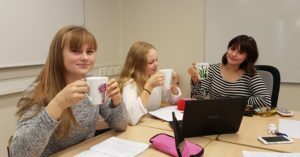 I have noticed that students who drink tea feel more relaxed and have an easier time to focus, especially in the afternoon when they normally are tired. The students have noticed this as well. When asked what they think about having the possibility to make a hot beverage before a lesson, they obviously said that it is great. When asked to specify why it is great many said that it feels like it is easier to focus during the lessons. They also said specifically that when facing a difficult problem it helps if you are drinking tea. Similar comments were that it helps if you are feeling restless, or that it makes you more motivated. Some other comments were that it is like you are receiving a price for calculating mathematics and that it is something special you look forward to. 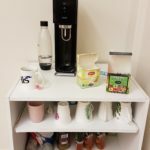 This small and inexpensive gesture of offering tea or coffee for the students has meant a lot to them, and it is clearly one more thing you can do in order to create a positive learning environment. 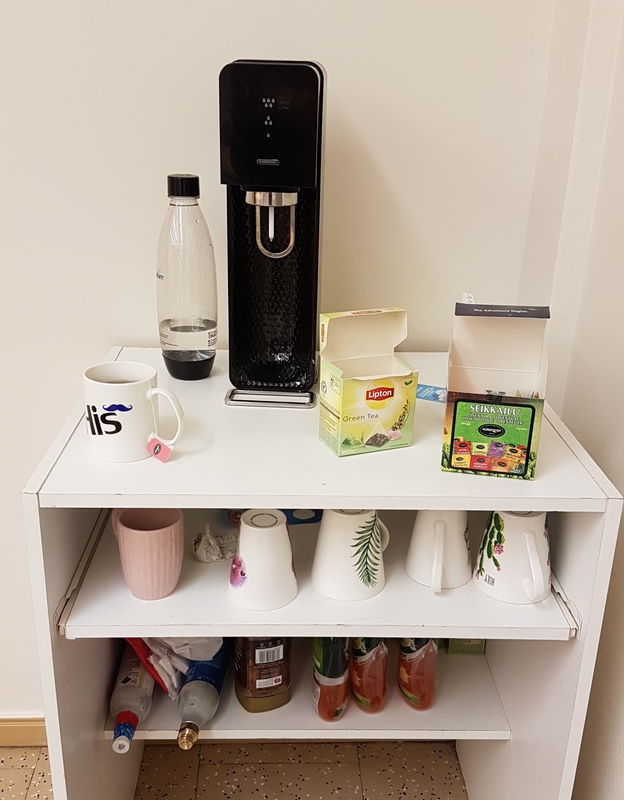 Hopefully I will be able to continue offering tea in my classroom and maybe this is something that other teachers might also want to try. How can you find the money for this? You can for example start to use Ma.fi, a digital math book for junior high, which is available in English, Swedish and Finnish. At the moment it is founded by scholarships, meaning that it is free of charge. The money you save from not buying math books can easily pay for water boilers and tea. You made my day. Great idea.